Democrat seeking Republican for drinks, grand bargains. 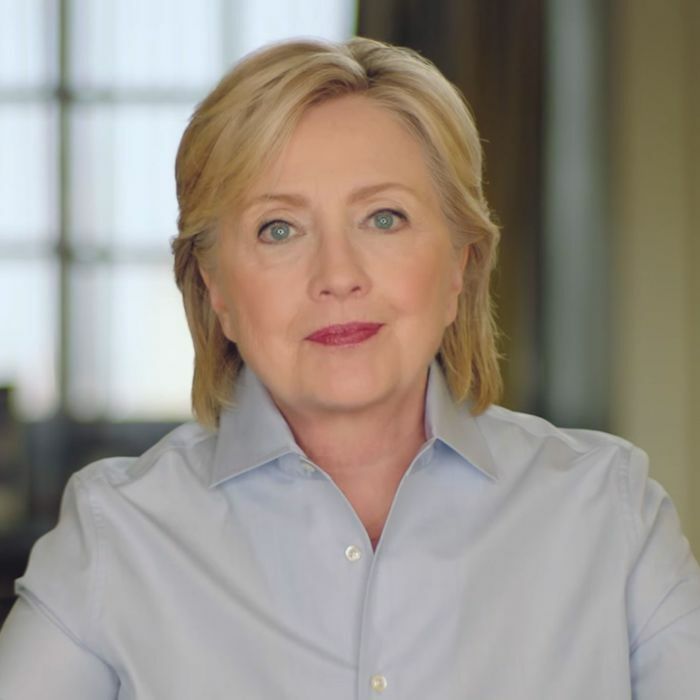 In her newest campaign ad, Hillary Clinton tells swing-state voters that Barack Obama got almost nothing done during his eight years in the Oval Office. Okay. She doesn’t actually say that. But her 30-second spot “Only Way,” oddly, implies it. From the earliest days of her general-election campaign, Hillary Clinton has made wooing Trump-averse GOP voters a top priority. The Democratic National Convention featured multiple Republicans in high-visibility speaking slots, while Team Blue’s own orators laced conventionally conservative themes throughout their remarks. In her much-hyped speech on the alt-right, Clinton asked suburban conservatives to recognize Trump as a member of a different tribe, contrasting the moral courage of George W. Bush, John McCain, and Paul Ryan with the hateful extremism of the GOP nominee. Just this week, Clinton suggested that Trump’s latest bout of Putin praise would have outraged Ronald Reagan. So, an ad that suggests Trump wishes to be a dictator — while she just wants to get a drink with Mitch McConnell and hash out the common-sense solutions that all Americans can agree on — fits in with this broader strategy. And that strategy may well be a savvy one: Trump is struggling with the college-educated white voters that have been a key part of every modern Republican president’s coalition. Ads like this one may make it easier for such right-leaning whites to cross the aisle (or stay at home) in November. But it’s a little bizarre for Clinton to say that it “takes Democrats and Republicans working together” to “get things done in this country,” when the sitting Democratic president’s tenure suggests the exact opposite. It did not take bipartisan comity to pass the Affordable Care Act, Dodd-Frank’s financial reforms, or the stimulus package. Rather, it took Democratic majorities and partisan discipline. And, in point of fact, “Obama alone” (or, okay, “the Executive branch alone”) has actually gotten a remarkable number of things done over the past few years, from expanding overtime benefits to limiting carbon emissions. By contrast, the president’s genuine attempts at major bipartisan reforms failed miserably. Which, from Obama’s own perspective, might have been for the best: While the president offered Social Security cuts during grand-bargain negotiations in 2011, today he says the program’s benefits should be expanded. Granted, to the extent that Clinton gets anything done legislatively in her first term, it will likely require Republican cooperation. The GOP is almost certain to retain the House this fall. But the “things” Clinton will be able to win such cooperation on will be exceedingly limited. And so, to realize her stated policy goals, the Democratic nominee should be doing everything in her power to drown the GOP House Majority in an anti-Trump landslide. Absolving the Republican Party of responsibility for Trump — while singing the praises of divided government — seems like an odd way to pursue that goal.